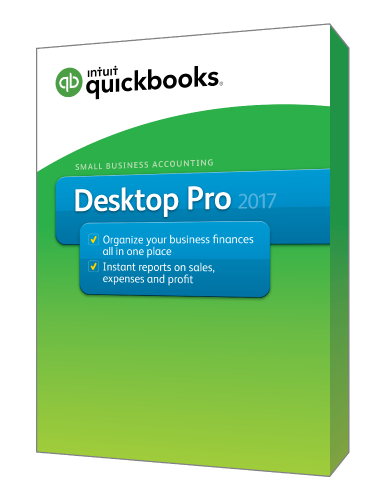 The following changes, improvements, and fixes were made to QuickBooks Desktop Pro 2017, QuickBooks Desktop Premier 2017 and QuickBooks Desktop Enterprise 17.0. Later releases (ones with higher numbers) include all changes in earlier releases. What’s important about Release 5? Fixed a bug that caused a login to fail during company file creation for Payments. Users should no longer get a blank white page when they click Find A Local QuickBooks Expert from the Help menu. Corrected a spelling error in the Edit Assembly item window. Users now have the option to login into a Company File without having to enter username and password every time. 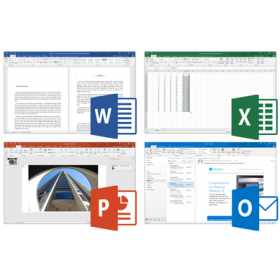 Users only have to login with their username and password once every few days and can open the Company File or switch to a Company File without having to enter username and password, as long as they are using the same Windows user account. Users have to enter username and password again only if they have explicitly logged off from the Company File or when the login period has expired. Users selecting this new option must safeguard their computers and Windows accounts in order to ensure that their Company Files are protected. Note that this option will only apply to Client Company Files where Credit Card Protection is NOT enabled. For more information, see QuickBooks Desktop Sign-In options (Managing Complex Password). Install support for Microsoft Small Business Server 2011 is now included. Fixed an issue that caused QuickBooks Help to crash during concurrent remote sessions for same windows user. What's important about Release 4? What's important about Release 3? Intuit Data Protect and Field Service Management customers may not see their app icons on the ‘My Company’ screen. Customers may need to login when they access Intuit Data Protect and Field Service Management. To prevent future login issues, QuickBooks will enable customers to verify and update their email addresses. Fixed and issue for Quicken relating to QB Crash and Converter tool. Enhancements made to support using “Scheduled reports” for multiple editions of QuickBooks (from the 2017 release) installed on the same machine. Proactive and dynamic messaging to guide users while they create schedules for sending reports. This includes detecting any conflicting settings/permissions and messaging the same to the user before they create schedules. SDK now supports Multi SKU and to leverage this feature SDK developers can use "QBXMLRP2.DLL and QBInstanceFinder.DLL” from this release. Multi SKU support is enabled by exposing a new method “BeginSession2” in interface “IRequestProcessor6”. What's important about Release 1? Memorized transaction list shows blank when filtering for frequency. Scheduled backups on a workstation would not complete. Users with limited or no access could change company general preferences. You can now see users that you deleted on all reports by username, you will no longer see “unknown” as the user. This will allow you to see the deleted users prior to 2017, going back to 2014. The Banking section of your QuickBooks Desktop Home Screen will now show you a red notification for waiting deposits. You can now use In-Between Amount Search to filter amount ranges in reports, find, and transactions. The User Interface of the improved selection of multiple names will allow you to select multiple names like Customers, Item, Vendor or Account Filter. This allows you to easily select, de-select names and find individual names. You can now see who is logged in and give them time to save work. Quickly coordinate the right time to switch between Single and Multi user mode real-time chat between users in QuickBooks Messenger. New filters added: Customer Type and Vendor Type. This new feature allows you to start typing in any field and see all possible matches. This feature looks at the first few letters of a word. For instance, “A1 Customer Storage Shed” you are able to type the following and it will find those things that match: A1, Customer, Storage, Shed. A space must be included in order for this feature to recognize a word. If you have “A1CustomerStorage Shed” you will be able to search A1 or Shed and come up with matches, it will not find matches for customer or storage in this case. When matches are found using the first word as the search, you are able to use the down arrow to go through the list; however when searching using a second word and no first word items match, then you will not be able to use the arrow, it will stay on "Add New". You will be able to use the mouse to navigate to the item that needs to be selected. You can now set up a schedule to automatically e-mail memorized reports. Choose the time of day and the frequency on which to send the report and QuickBooks Desktop will do the rest for you. You can now quickly view all applied filters on a report. Just click the Show button and QuickBooks will display all of your filters. You can also print off the applied filters. Just set the Applied Filters to Show and your filters will be included on the last page of the report. Now you can see when a credit card charge has been reconciled with a “Cleared” stamp right on the transaction.